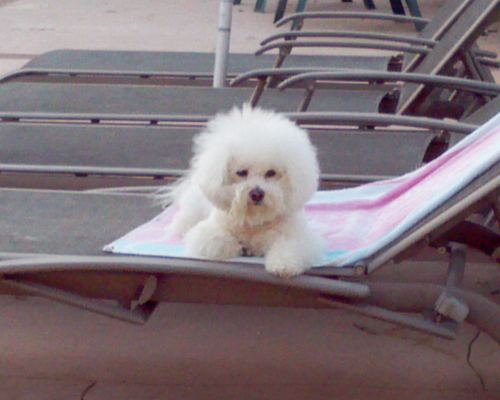 Born April 23, 2007, Katie began her life in a puppy mill and was sold to a pet store in Las Vegas. 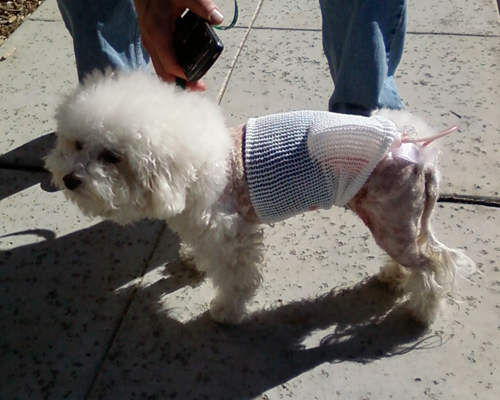 A college student purchased her while on a weekend trip there and brought her home to Los Angeles. 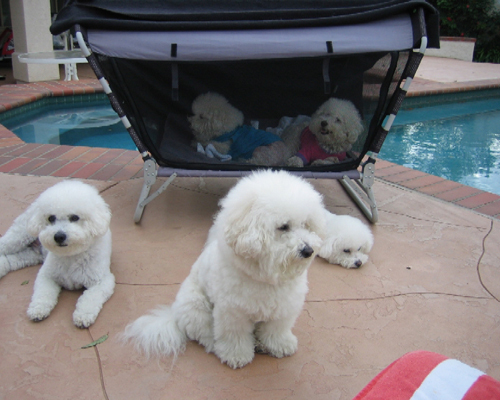 While the student was in school, Katie lived in her wire cage. 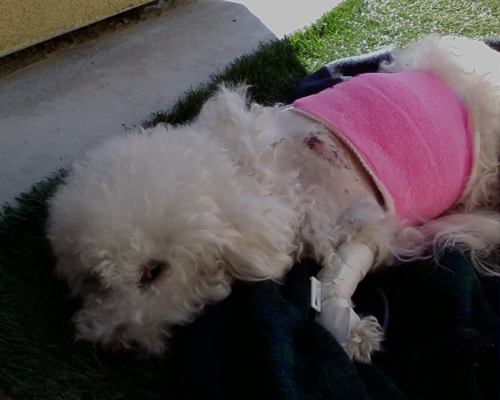 She spent so much time in that cage, by the time the student surrendered her, she was afraid to be outside of her cage. 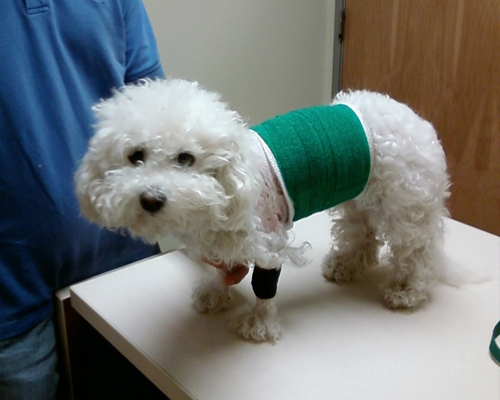 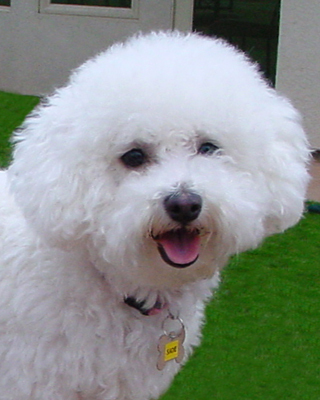 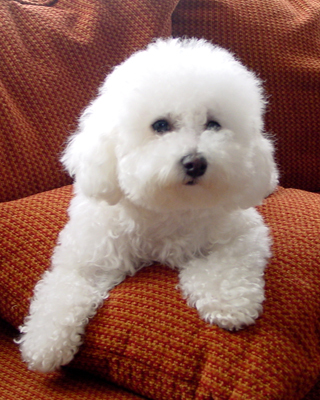 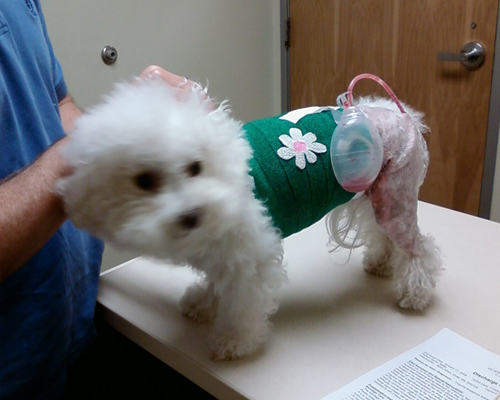 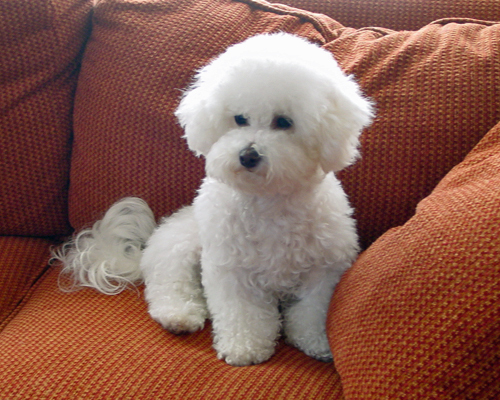 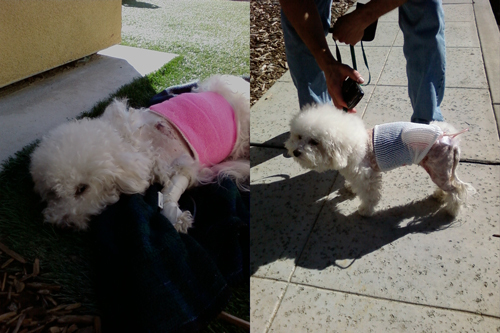 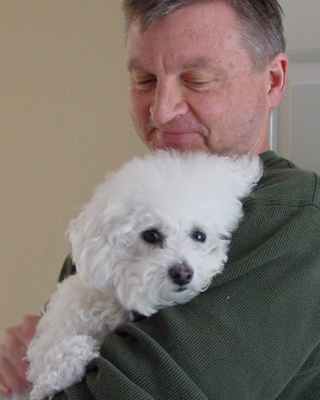 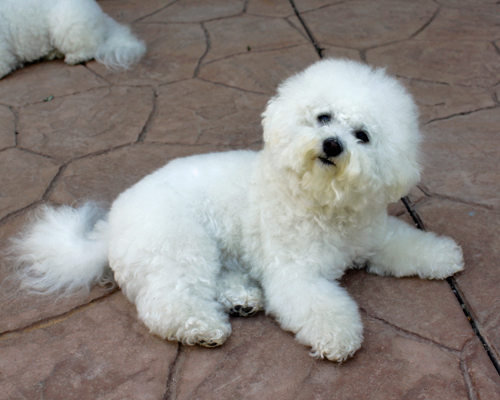 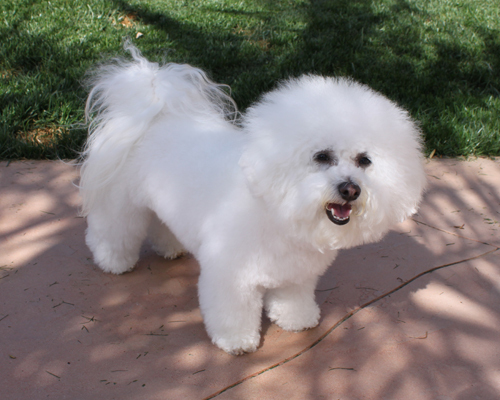 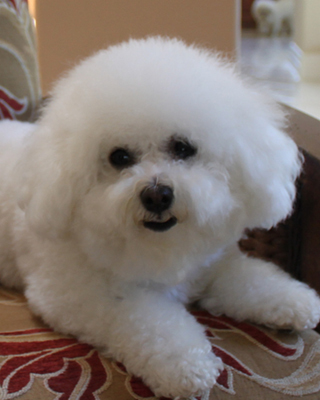 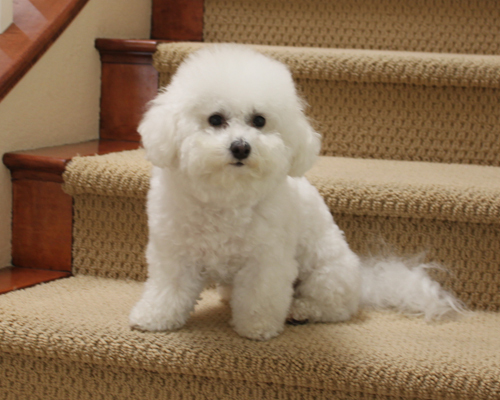 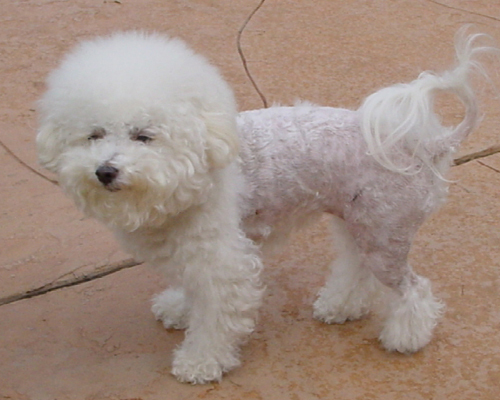 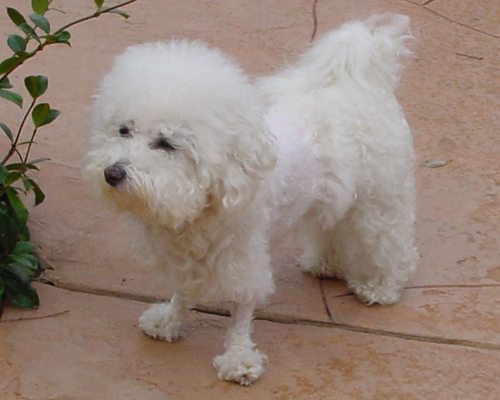 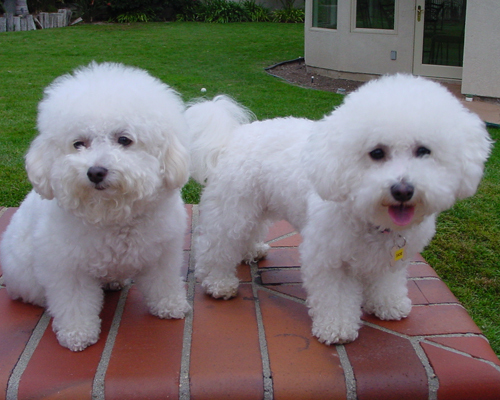 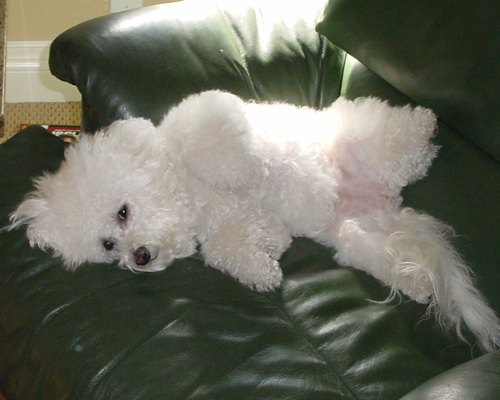 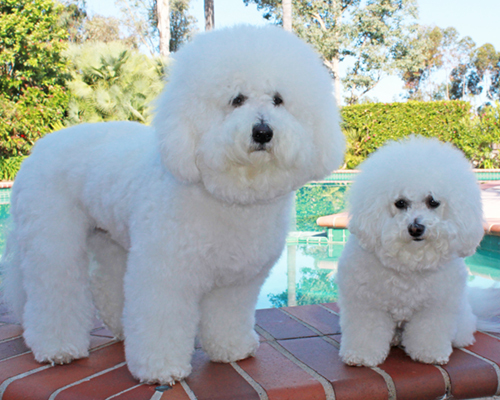 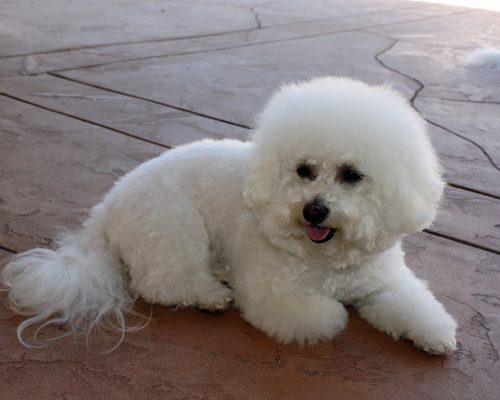 Bichon FurKids knew that the “Gibb Bichons” might be just what she needed. 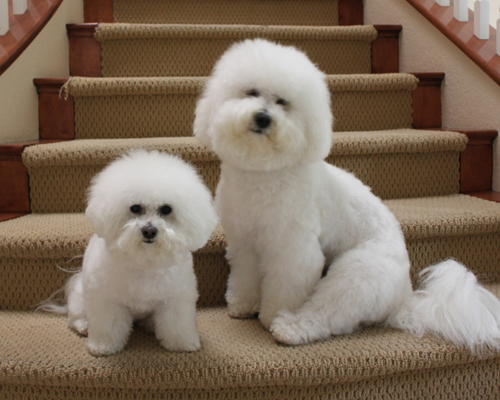 Well, they didn’t realize how RIGHT they were. 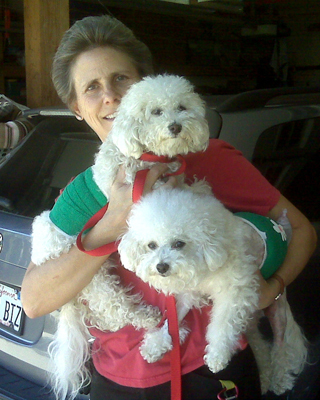 Katie was a Gibb foster for about a week and we all knew she would become the latest addition to the pack. 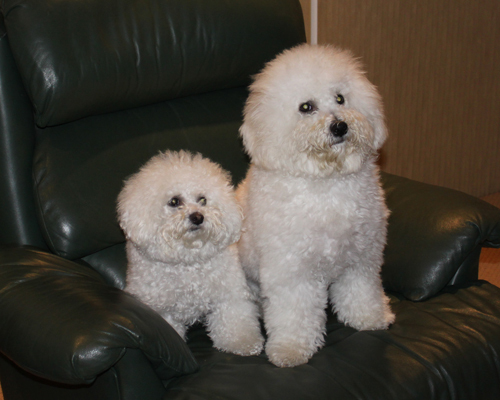 Pixie took her under her wing and taught her the house rules while Chipper taught her how to play like a puppy. 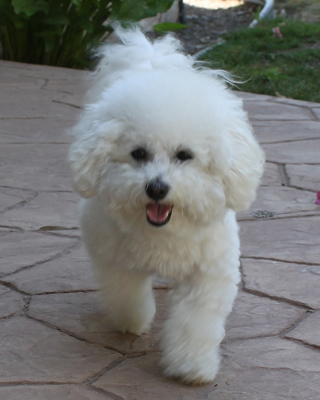 Today, Katie is the “tiny rascal” of our pack and is best pals with our BIG boy, Woody.